Kitchen Remodeling for Silver Spring, MD - Daniel Krienbuehl Contractors Inc.
Daniel Krienbuehl Contractors is the premier kitchen remodeling service in Silver Spring, MD. At Daniel Krienbuehl Contractors, we partner with you to design and build a well-planned kitchen that meets the needs of your lifestyle. And we bring extensive experience to every project, guaranteeing you’ll love the results. Our nationally-recognized services have earned multiple Contractor of the Year (CotY) Awards. We attribute our success to more than 25 years of industry knowledge and a streamlined design-build process that our customers love. We know your kitchen is more than food preparation space. It’s a main gathering area creating the heart of your home. Our experts work with you to make this the ideal space you’ve always wanted. Kitchens – Let us get started on your dream kitchen today. We partner with you to plan a customized kitchen that fits your personal needs and improves the value of your home. Bathrooms – Is your bathroom in need of an update? Our experts will help you design a bathroom that perfectly completes your living space. Additions – Have you outgrown your space? Whether you need an additional bedroom or a new place to play, we’ll build the perfect addition to match your lifestyle. Basements – Many homeowners aren’t sure how to best use this space. Let our experts design and build a functional area that can double your living space. Decks – Add great appeal to your home’s exterior and start enjoying the outdoors with a custom deck by Daniel Krienbuehl Contractors. Exterior – Further enhance your outdoor surroundings with a charming gazebo or arbor. Our experts will help you create a picturesque setting. Porches – Add a screened-in porch or three-season room for additional living space and curb appeal. Whole House – Are you in need of a complete overhaul? We are ready to do whatever it takes to create the home of your dreams. Daniel Krienbuehl Contractors is proud to partner with the more than 76,000 residents of Silver Spring, MD to continue its growth and beautification. Since its founding over 150 years ago, this city has blossomed into an attractive, flourishing area. From its bustling Central Business District to picturesque residential areas, Silver Spring is an inviting city. We have found our custom services are the perfect complement for the residents of this well-appointed town, providing the professional services desired for kitchen remodeling in Silver Spring, MD. 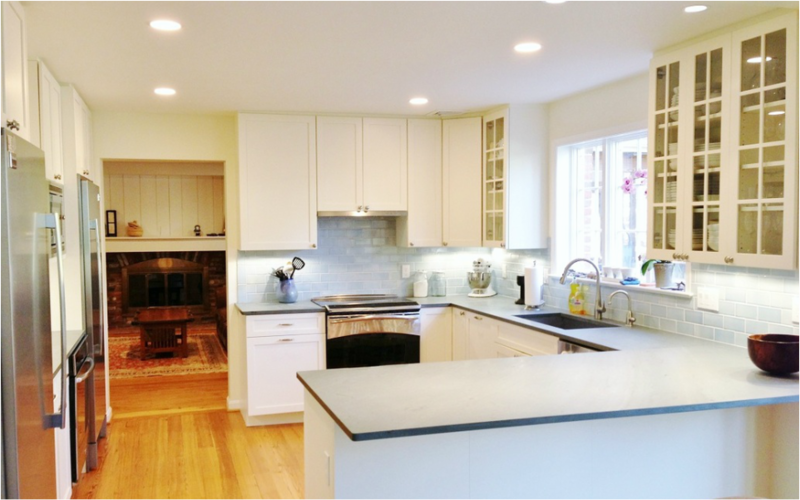 For more information on custom kitchen remodeling in Silver Spring, MD, contact owner Daniel Krienbuehl directly at (301) 962-0581 or email him at daniel@dkcontractors.biz.